Do you know what a Teenage Mutant Ninja Turtle loves more than sewers? Pizza! 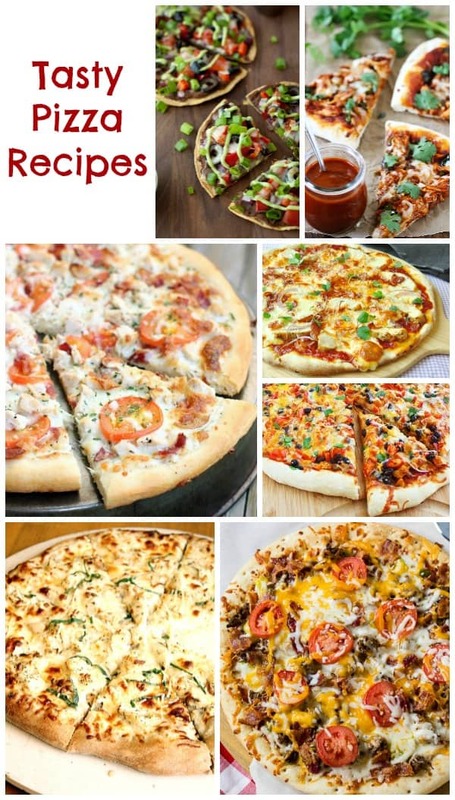 This collection of pizza recipes has the TMNT stamp of approval and goes perfectly with our collection of TMNT Party Ideas. This is a collection from other talented bakers & bloggers. To view the full recipe for each, simply click on the title and it will open in a new window for you. 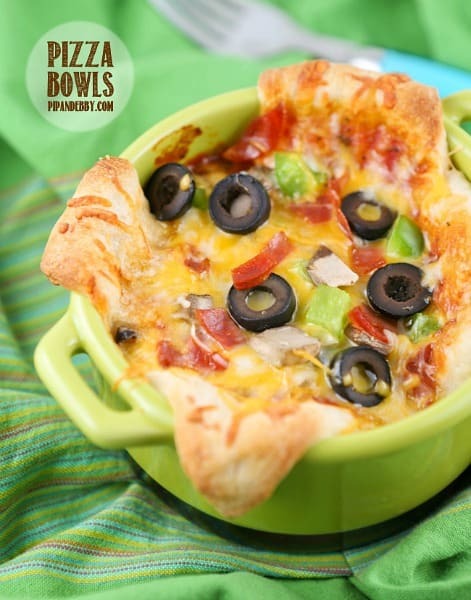 This looks like the ultimate comfort food on a cold winter day – Pizza Bowls (pictured above) by Pip & Ebby. I have a feeling these will turn into a new family favorite after the first time you serve them. Do you follow Rock Recipes on Facebook yet? If not, you better head over to like them now. It’s okay…I’ll wait…I drool over their recipes on a daily basis and I know you will too! 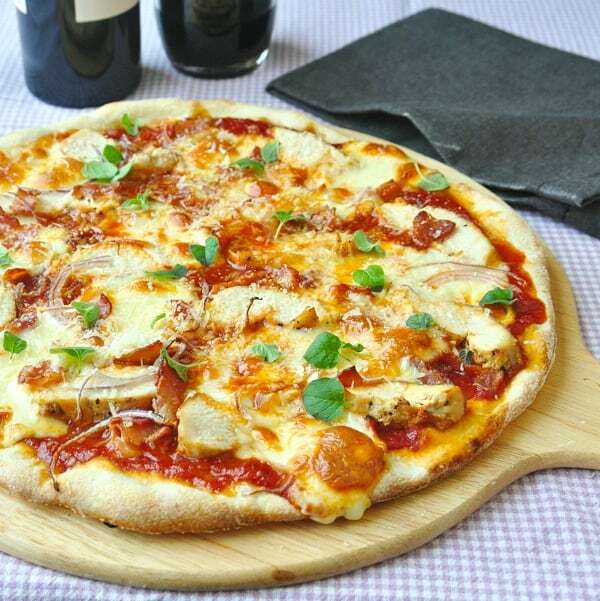 This Crispy Thin Crust Barbecue Chicken Pizza is a sample of the tasty recipes you’ll find on their site. 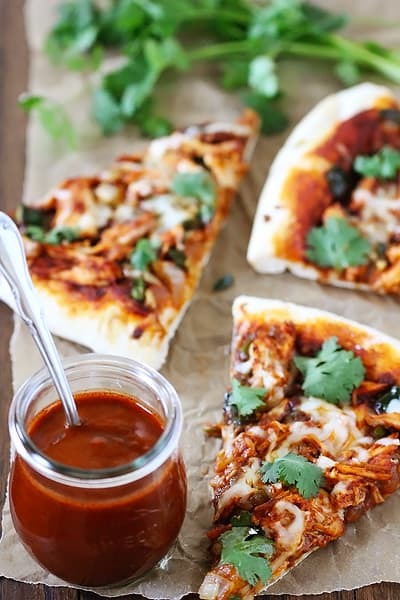 This Chicken Enchilada Pizza by Gimme Some Oven looks like it’s packed full of flavor. This would be a unique recipe to serve to party guests. Most kids I know share a love for the same pizza topping – extra cheese! 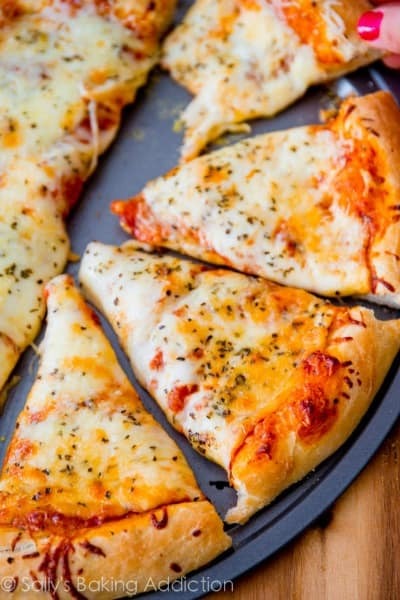 This Homemade Extra Cheese Pizza by Sally’s Baking Addiction would be perfect for a party with picky eaters. 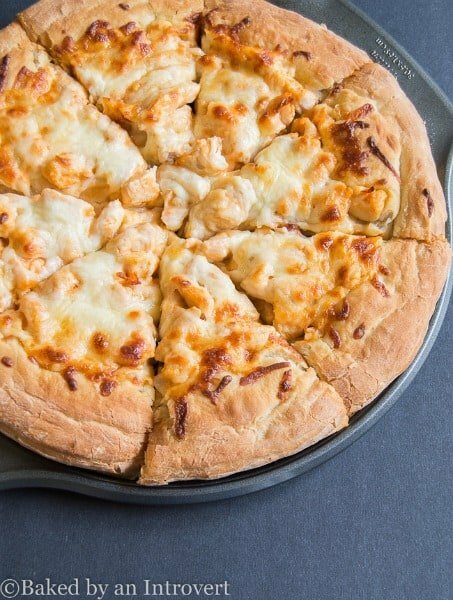 I like my pizza with a bit of kick and this spicy Buffalo Chicken Pizza by Baked By An Introvert looks so delicious! Mmm…garlic & ranch together sounds so tasty! 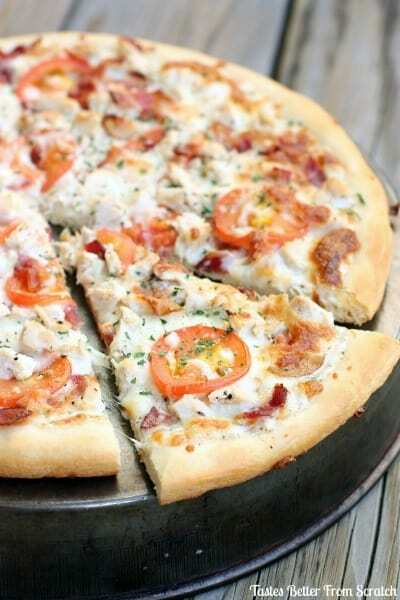 This Garlic-Ranch Chicken Pizza by Tastes Better From Scratch has a homemade sauce that I can’t wait to try. 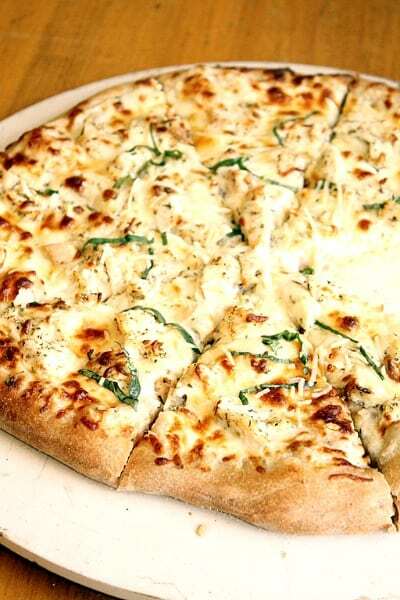 I love Chicken Alfredo Pasta so I know I’d love this Chicken Alfredo Pizza by The Marvelous Misadventures of a Foodie. You may think that potatoes on a pizza sounds a little weird but trust me when I say that it’s delicious! Haven’t tried it before? 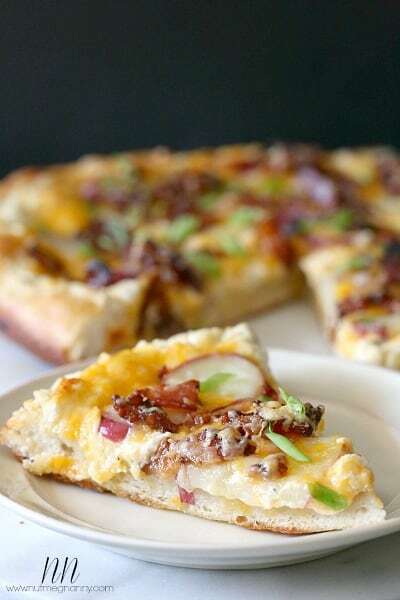 This Loaded Baked Potato Pizza by Nutmeg Nanny looks like the perfect one to start with. 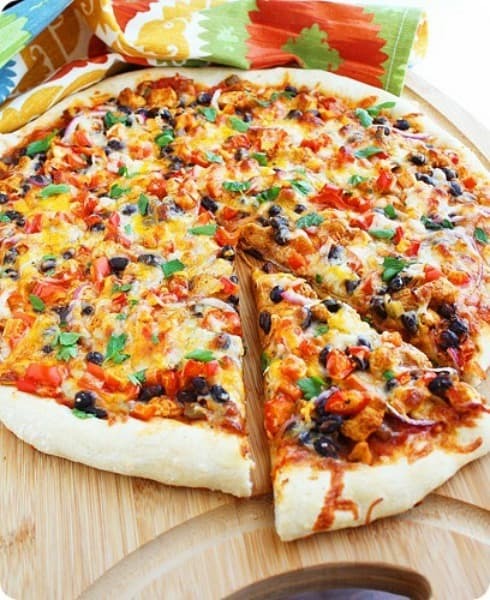 This Chicken Fajita Pizza by The Comfort of Cooking is so colorful and it looks like it’s packed with healthy vegetables. I love the combination of spinach and artichoke (Have you seen my Hot Artichoke & Spinach Dip? Amazing!) 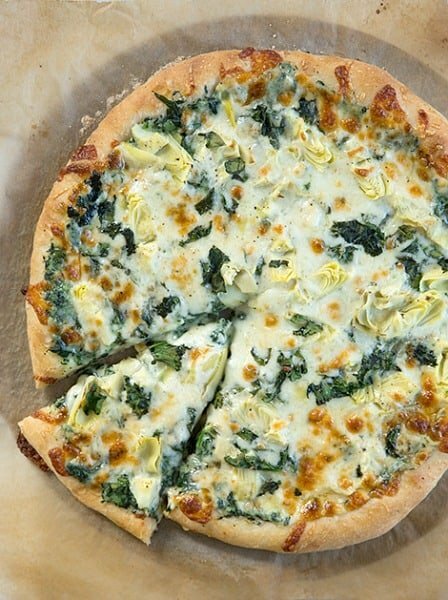 and this Spinach Artichoke Pizza by Cooking Classy looks like it wouldn’t disappoint. 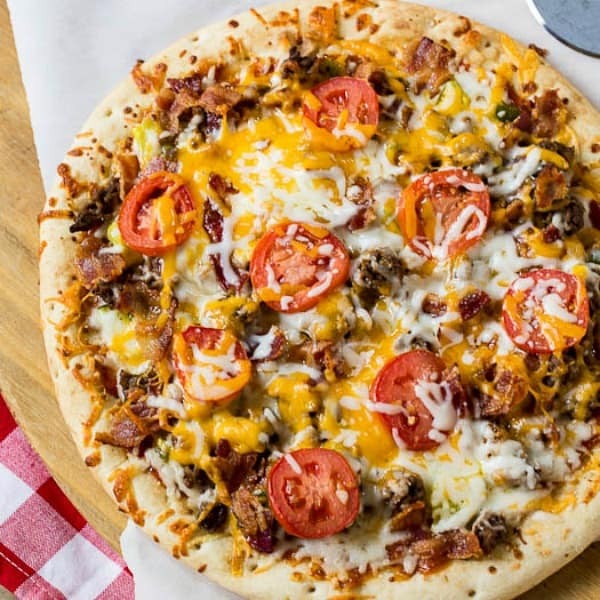 If you love cheeseburgers and you love pizza, I’m sure you’ll love this Cheeseburger Pizza by Spicy Southern Kitchen. It looks so loaded with delicious ingredients that you may need to eat this one with a fork. 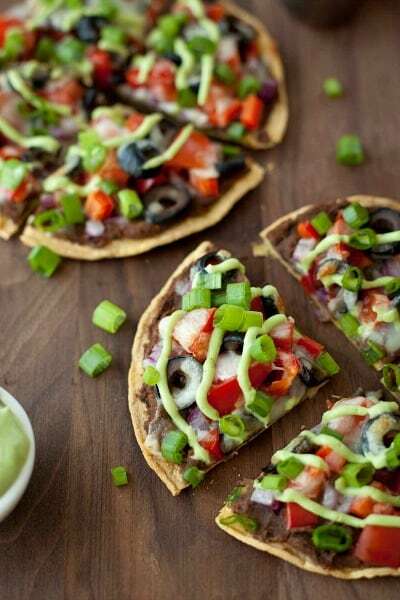 This is such a unique pizza recipe and it looks so healthy – Skinny Mexican Pizza by Snixy Kitchen. It looks like it would be great as a party appetizer as well. Visit our Easy Party Foods & Family Recipes for more delicious ideas.